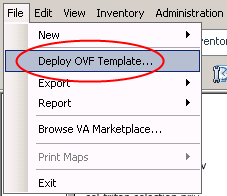 Deploy the vMA via a vSphere Client → File menu → Deploy OVF Template... and follow the prompts to complete, deploying from the .ovf file extracted previously. Power on the vMA on a suitable virtual network, follow the prompts to apply a network configuration, provide a password for the vi-admin user, and this part is done! *Note: vMA 5 uses virtual hardware version 4, so will run on old ESX 3.X hosts. 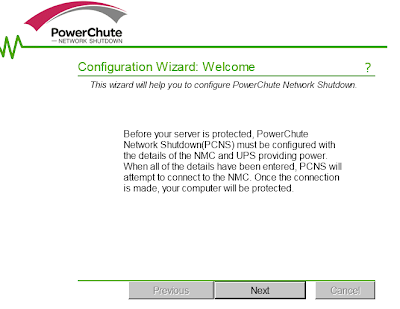 Connect to: https://vMA_IP_Address:6547 to access the Configuration Wizard, and follow through the Wizard to complete the configuration of PCNS. 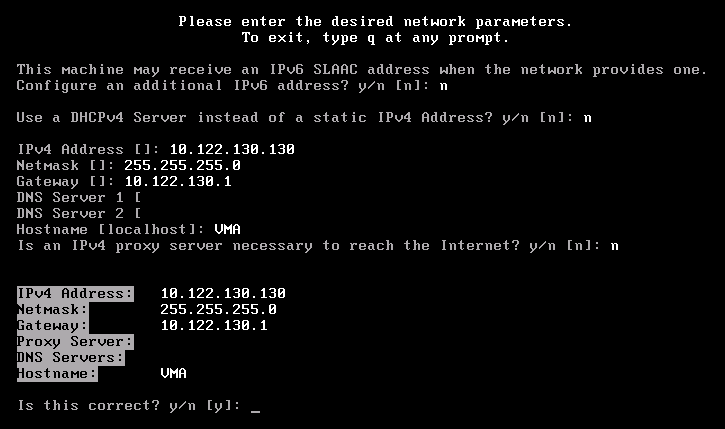 Are you sure you want to install PCNS to /opt/APC/PowerChute [Yes|No]? In order for PCNS to shutdown the ESXi host, it must be added as a target server. Skipping configuration of ESXi Host Shutdown. Copyright (c) 1999-2011, Schneider Electric. All Rights Reserved. 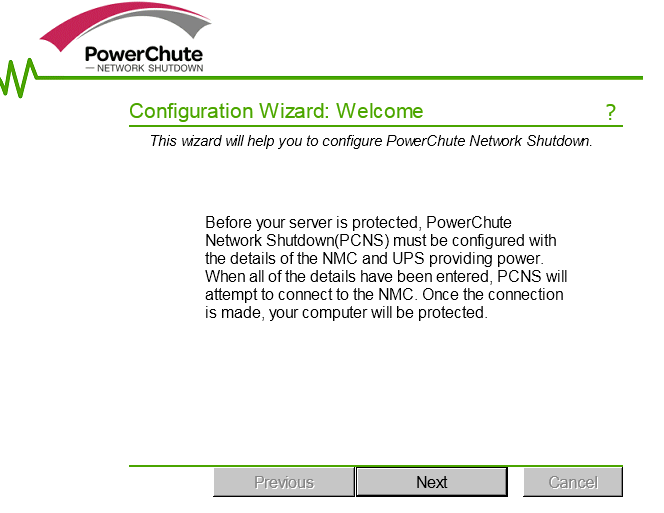 Please complete the configuration wizard so that PowerChute Network Shutdown can protect your server. Thanks for the very nice instructions. I did not manage to user WinSCP or any other (S)FTP Software to connect to the vMA 5.0. How do you enable that. PS: Error message is somithing like "No connection could be made because the target machine actively refused it. Hi Anonymous, thank you for the comment. By default the vMA 5.0 allows access via SSH and port number 22 which WinSCP uses by default, so you should be fine. If you can telnet to the vMA IP on port 22, double-check the credentials for the vi-admin user (try logging into the console.) The vMA 5.0 default password complexity policy is pretty strong. Cheers! 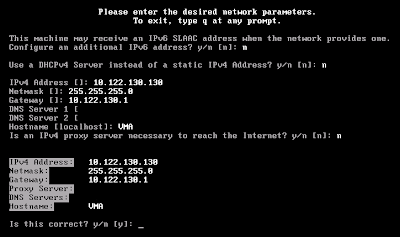 Hello Unknown, if you follow the above at part 1 (for the download from www.apc.com/tools/download), and choose Linux for operating system, then APCs website should give you the manual and the pcns220lnx. Without reading the instructions nor having a RedHat box, I'm guessing you need to extract from the downloaded file onto your RedHat server, and the run the install (./install or install) Cheers! i have same problem "I ran accross the same issue as I could not log into the the VMA via WinSCP, but figured it out...My VMA was on a different vLAN than my PC. When I logged into a PC on the same vLAN it worked fine"
I have noticed that rebooting VMA machine causes port 6547 to be no longer opened and hence no management of pcns is available. Is it OK? Does it mean that pcns is no longer running? How can I restart it, or open the 6547 port again? (Opening requires root account, which as I understand is disabled). If just the managemement port 6547 is closed then should be fine. You should be able to login to the VMA (perhaps using a user account and 'su -' to root) and edit the firewall properties config file so that the port stays open. Great write up. Appreciate your time in making this information available. Great write up. I follwed it step by step and worked fime for me. I would like to know if I need to do anything after the install? How do I set the VM's to shut down gracefully in the event of power failure? To shut down gracefully you only have to check the Virtual machine Startup and Shutdown Systems Settings in the configuration tab. Change the Shutdown Action to Guest Shutdown. Thank You For Such a Great Information!!!! !